Im brand new to the board and TA's ... Im looking to buy one but had no idea how complicated it is to chose, theres just too many options/ choices. I dont want to just act on impulse and buy one only to want another one with something special. I'd really like to find a better than average " rare" car or atleast less common TA .. maybe a 79'. If anyone could help me with some of my questions or give me some suggestions i'd really appreciate it. ( a few years ago i bought a 1992 Camaro RS/ 5spd TBI and knew nothing about TPI 350's all i knew was i wanted a third gen ..boy do i hate 305's Now i really want a TA but dont want to make the same mistake and settle for less. - what year offerd the biggest motor. The 455 was the largst engine offered with the Super Duty being the king of those. Almost every motor will make decent HP if you put enough money in it. 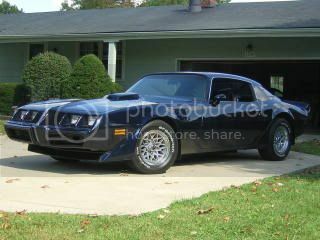 I have seen a 500 HP pontiac 350 but it was $7000! 403 was an Oldsmobile engine and there are a few Olds builders out there and they can be a decent performance engine. You have to decide what your plans are for the car, cruiser, daily driver or strip warrior, each one will be different.